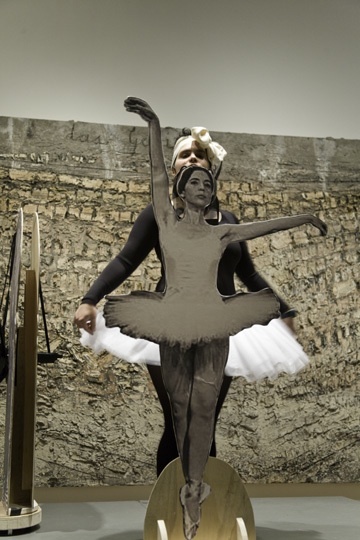 In After Before the Revolution, I embodied Eleanor Antin’s fictive black ballerina (Eleanora Antinova), as well as members of the Black Panther Party. Antin’s appropriation of blackness in Before the Revolution from 1979 was, and still is, controversial. My blackness and Jewishness enables me to make a more accurate portrayal of Antin (who was Jewish) as well as Antinova. Her original cast, which included life-size puppets of Sergei Diaghilev and Vaslav Nijinsky, become animated puppets of Huey Newton and Stokeley Carmichael in my production. Like Antin, I also invited an "erudite scholar" - Professor Michael Stone Richards - to contextualize my performance within the history of black art and activism. 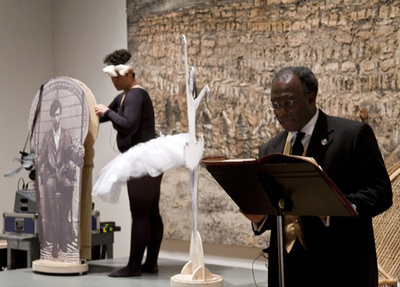 Because the performance was staged at the Detroit Institute of the Arts, I replaced the revolutionary Rite of Spring with a rousing of the 1967 Detroit Rebellion. Despite the differences in our ballets, Sergei Diaghilev and Stokeley Carmichael offer Antin and I the same counsel. 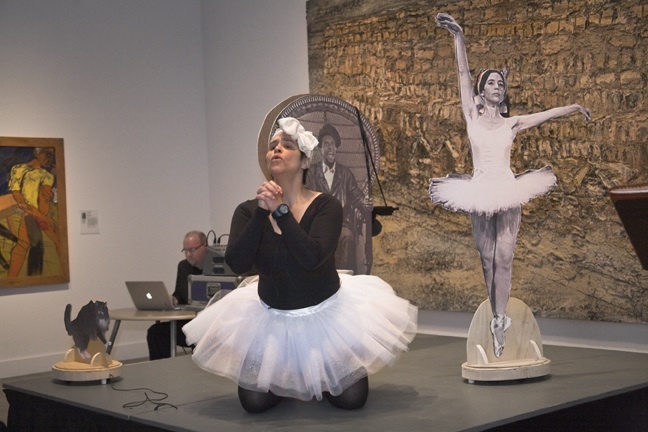 Whether Jewish or black, they say that we will never be able to perform as bona fide ballerinas. Audiences would see us only as “blackface[s] in a snow bank.” In spite of their ideological distinctions, Sergei Diaghilev and Stokeley Carmichael’s warning is frighteningly like-minded.